Just call him #CrossCountryChinch, ya’ll. 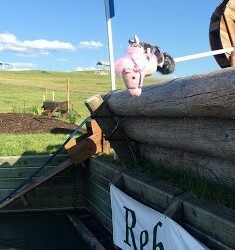 Somehow, our furry little mascot got a wild hair this weekend and decided he wanted to try his hand at cross country riding. It’s super easy, right? That’s what he thought. The first order of business was to acquire a quality mount. 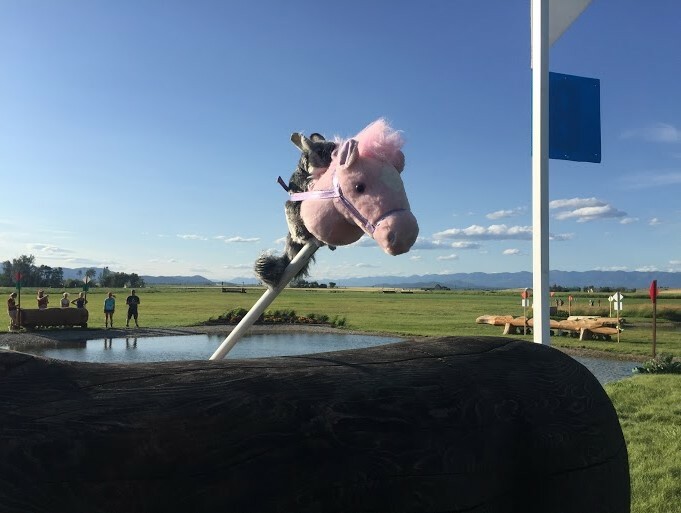 Thanks to the sharp eye of Mia Farley, Chinch sourced himself a nice, albeit oddly built, little mare to take around the cross country course. 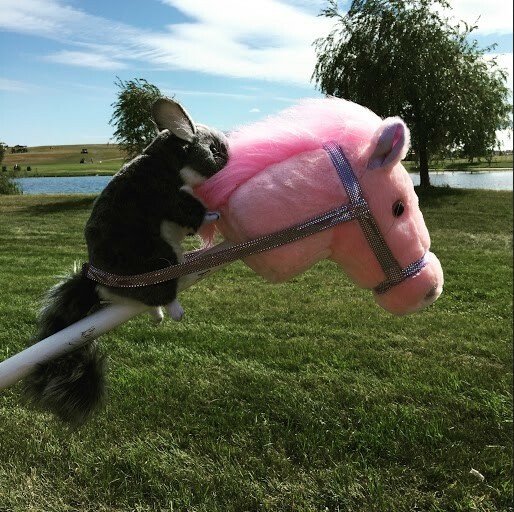 Only the best for Chinch’s horse! Photo by Mia Farley. Chinch expresses his gratitude to Mia for finding him such a top quality horse. Don’t let the skinny build and super long back deter you, ya’ll. It’s happening. The next step to success was to get some coaching on some strategy for Ian Stark’s cross country course. Never completed a single event in your life, Chinch? No problem. This one looks easy as pie. Next, it was time for Chinch to really earn his wings. 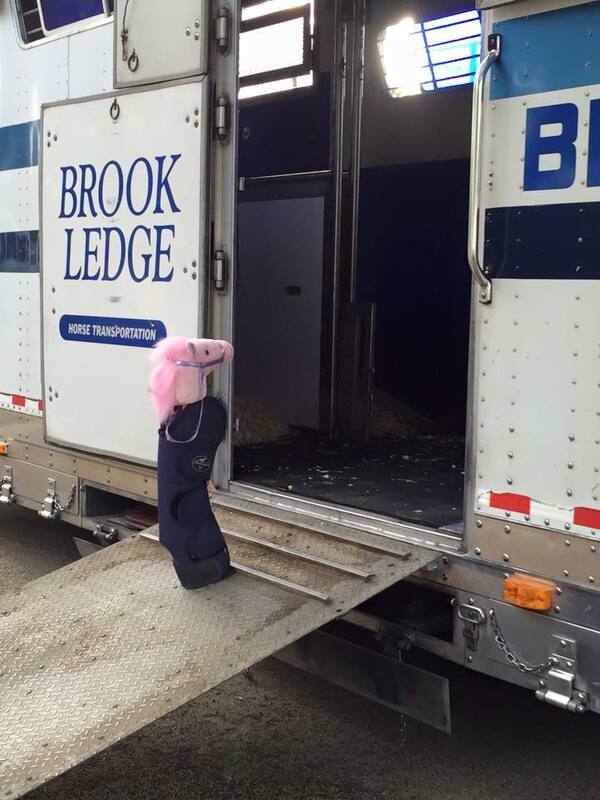 While his position was a bit up the neck for our taste, he managed to stay in the saddle (for the most part). 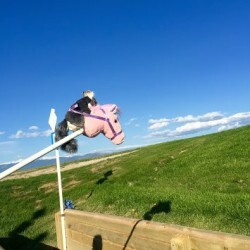 JM had a good point — a long, stiff backed horse is not easy to ride around a three-star cross country course. A little up the neck but overall fairly well balanced. 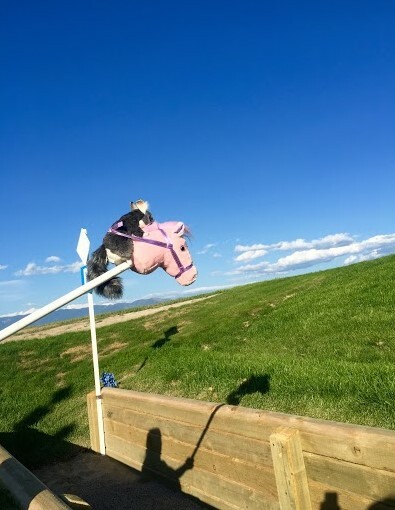 While Chinch’s trusty mount did lean a bit to the left over the jumps, we’re proud to report that he only landed on his head once — we’ll call that a win in the sport of chinchilla eventing. 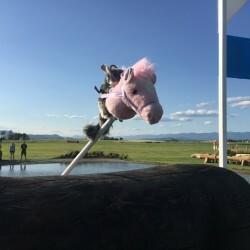 We’ll be watching real cross country action today, so stay tuned for much more serious reporting. Meanwhile, Chinch will be calling Point Two about ordering a custom vest in his size.